Do your shirts usually run big or small? Our shirts are a little bit “form-fitting”. Our shirts are described by their manufacturer as having an “athletic fit”. Absolutely! We take our website security very seriously. We use Stripe as our secure credit card payment processor. Our site is also encrypted with a security certificate. We never store your personal credit card information. If you have having trouble placing an order, please contact us right away! We guarantee shipping of all orders within 3 business days. We are normally able to ship orders by the next business day, unless otherwise noted. If you urgently need your order, please contact us, and we will do everything we can do to ship it as soon as possible! Once your item has shipped (usually by the next business day), the actual shipping time will depend on the shipping method you select at checkout. Unfortunately we do not currently have storefront, and we do not allow local pickup at this time. Yes we do! At checkout, after you enter your shipping address, international shipping should become available as a shipping option. DO YOU HAVE A LOCAL BRICK-AND-MORTAR STOREFRONT? We do not currently have a brick and mortar store. We do have some of our products for sale in some local stores in Colorado. Absolutely! We are born and raised Colorado natives! Everything we produce is inspired and designed here in beautiful Colorado. Do you create all of your designs yourself? 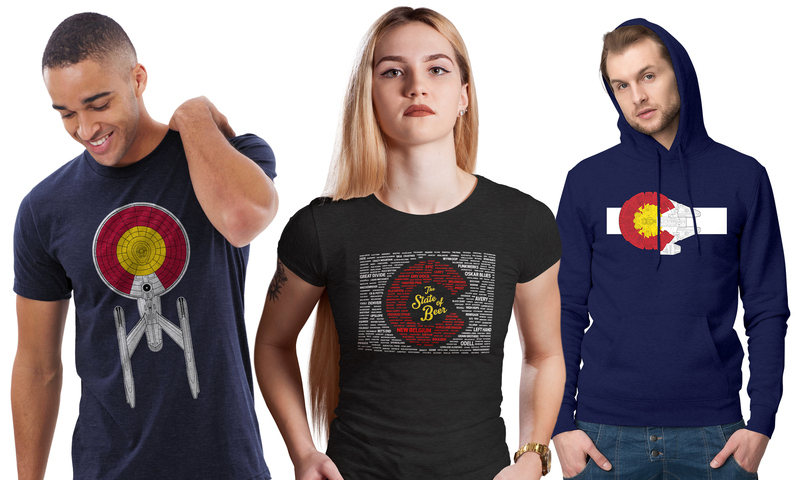 Every design sold on High Altitude Apparel is our own unique handiwork!